The way we design, produce, and consume products is changing. Autodesk has reimagined 3D CAD/CAM from the ground up with Autodesk® Fusion 360™ the first 3D CAD, CAM, and CAE tool of its kind. Fusion 360 enables people to work together in an integrated design, engineering, and manufacturing platform, virtually anywhere, on any device. It connects the entire product development process in a single cloud-based platform that works on both Mac and PC. Enhancements to Autodesk Fusion 360 are automatically updated, so you are always up to date and ready to create something amazing. The future of design is in your hands with this incredible tool that is changing the way people design and create. Test fit and motion, perform simulations, create assemblies, and make photorealistic renderings and animations. 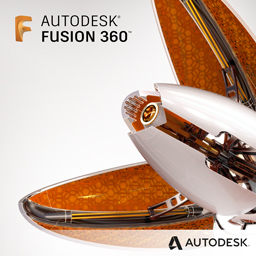 Contact us if you are interested in purchasing Autodesk® Fusion 360. Applied Engineering is authorized to sell Autodesk products throughout the United States and has offices in Minnesota, North Dakota, South Dakota and Wisconsin.